Sonic, Burger King Now Serving Hamburgers, Fries & Beer! “I’ll take the number one, with fries and a…beer?” That’s right, a new item that fast food chains are experimenting with, in a limited number of locations, is the selling of alcohol in some restaurants. Two Sonic restaurants in South Florida, one in Miami and the other in Fort Lauderdale, will begin selling a wide variety of beer and wine beginning later this summer, USA Today reported on Friday. Seattle area Starbucks coffee shops and Burger King “Whopper Bars” in Miami, Las Vegas and Kansas City have also begun to sell alcohol to their customers somewhat recently. Burger King also has stores that sell alcohol in Singapore, Venezuela and Spain. Ron Paul, the president of restaurant consulting firm Technomic, says that serving alcohol could help increase the amount of evening business for fast food chains, making it easier for them to compete with other casual dining establishments. 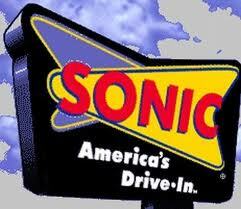 Adding an interesting twist to this issue is the fact that Sonic is a drive-thru food service style restaurant.